away with water, the shining "hairless" skin turns up to be look at! 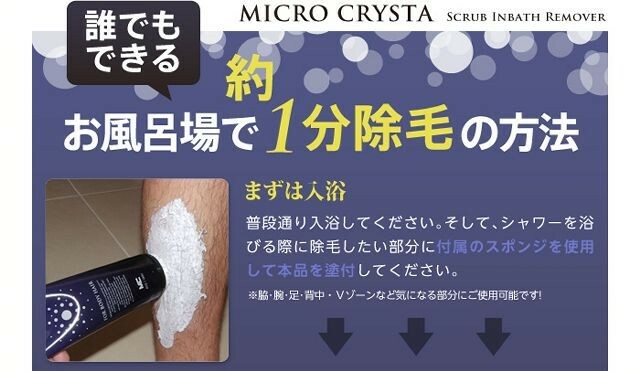 Can be used for armpit, arms, legs, back, V-zones, and can be effectively put with the attached sponge. 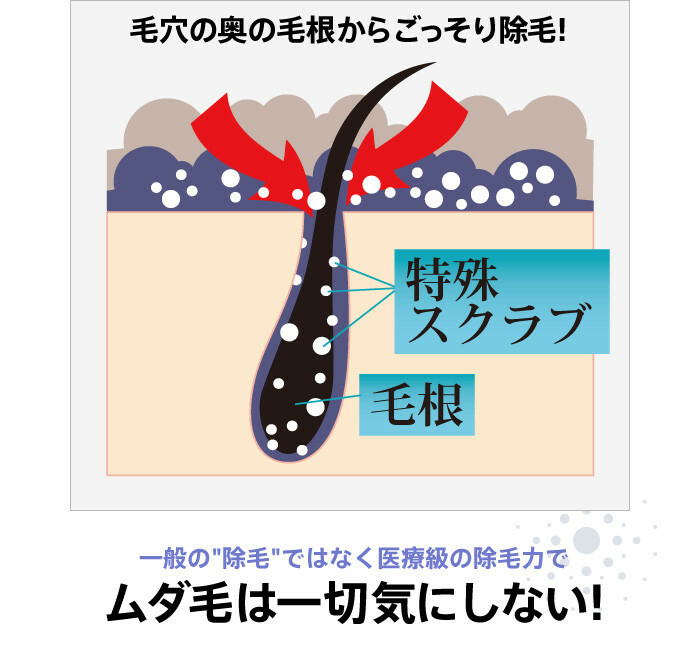 As its name suggest, it does not arrow "micro" hair from the hair with its absorbing power into every pore, eradicating the very cause of the growth of hair. Also irrelevant to the "offensive" bad smell which is typical to hair removal cream while its effect is much longer.